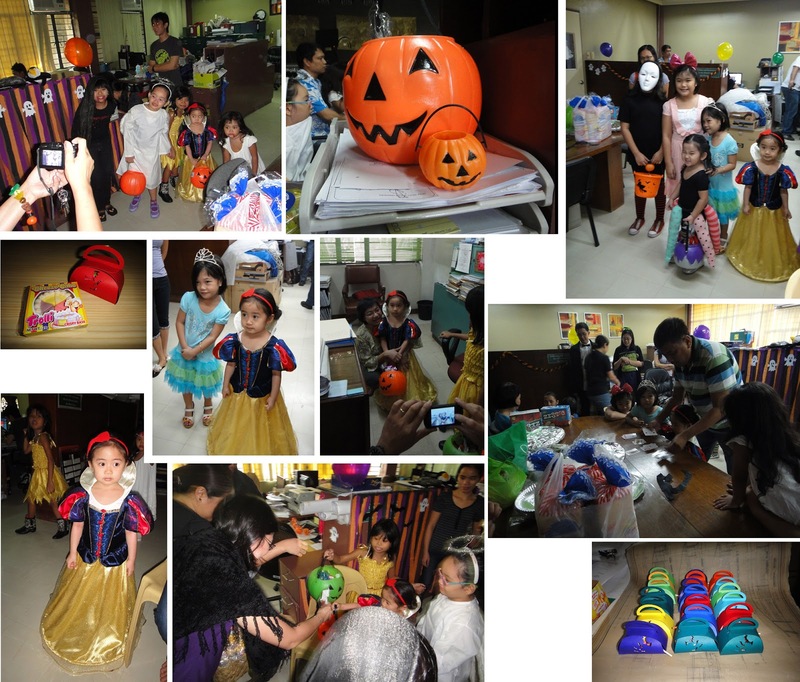 Halloween, of Celtic origin, crept in Manila and continues to grow stronger every year. Who could resist dressing up and getting candies? I actually don’t know how and why this started so I Googled its history. I ended up watching the first part of the documentary of the story of Halloween produced by the History Channel. It was an entertaining video and I learned a lot about Christianity’s participation in continuing a pagan belief. We also have a tradition for this occasion of our own. It has been three years when Diane first invited us to visit her office where they celebrate it with fervor. Their foreign based client gives the company funds to arrange the event where the employees decorate their work spaces based on the theme for the year. This year it was the “Clash of the Cartoon Channel” featuring cartoons from Disney Junior, Disney Channel, Nickelodeon, and Cartoon Network. They do not make the decorations scary so it’s perfect for the kids. They also give LOTS of candies so we always end up with a full bag. Unfortunately this year I was not able to take a lot of pictures of the designs due to security issues. There were also the usual unlimited popcorn, ice cream, and cotton candy carts aside from the food. We took advantage of these while waiting for the parade. 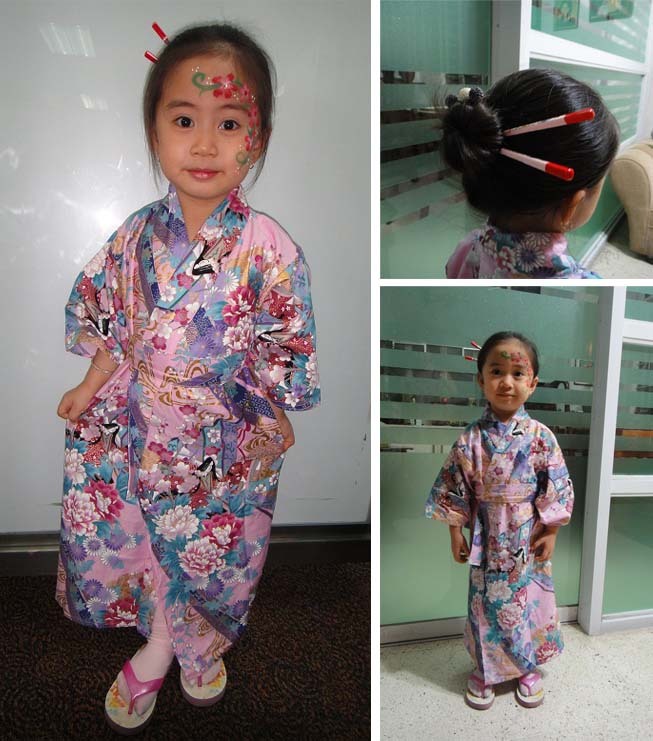 Iya dressed up as a Japanese girl with a kimono bought from Japan by Ninong Marty. I was not able to notice it earlier that day because I was always beside her but from afar the gold pattern shines in the light. It was very pretty. Her face was painted with cherry blossoms on one side. I fixed her hair in a bun and used the chopsticks I bought when I was still in college. It was only 17 pesos and I never used it. Apparently it was waiting for this day. The costume, hairstyle, and makeup.. face painting rather.. Some of the setups from the workplace. Iya’s favorite Disney Princesses and Pixie Hollow, and Alice in Wonderland. We had our second celebration this year. Our office hosted a little party of our own and did a pretty good job. This is our first Halloween party and everything is last minute. Each of us brought candies for twenty kids. My office mates did a puppet show with Iya’s jungle hand puppets, Philip did magic tricks using playing cards, and we ate pansit, bread, and spaghetti. To top it off October 31st was declared half day. Perfect. 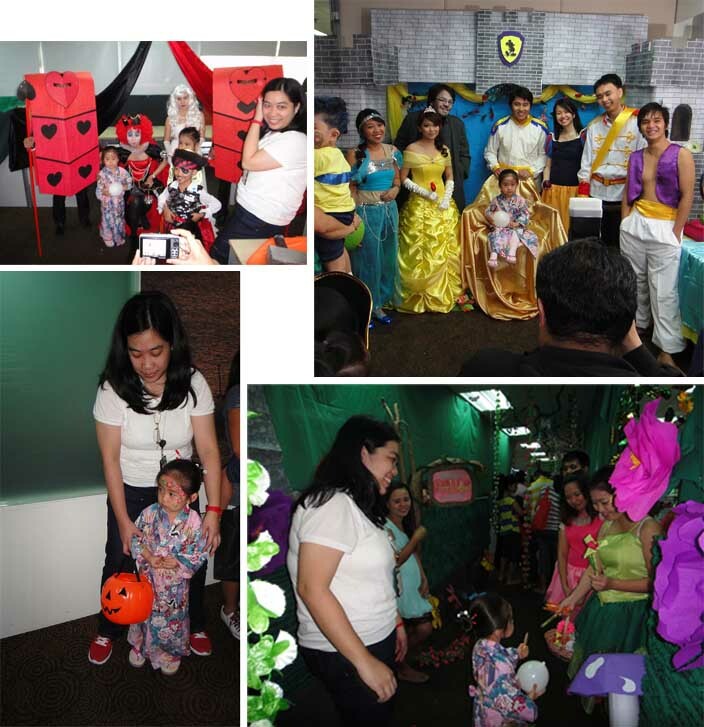 OCA Halloween celebration. She dressed as Snow White. The kids are so cute! I especially love Grei. She’s such a sweetheart. 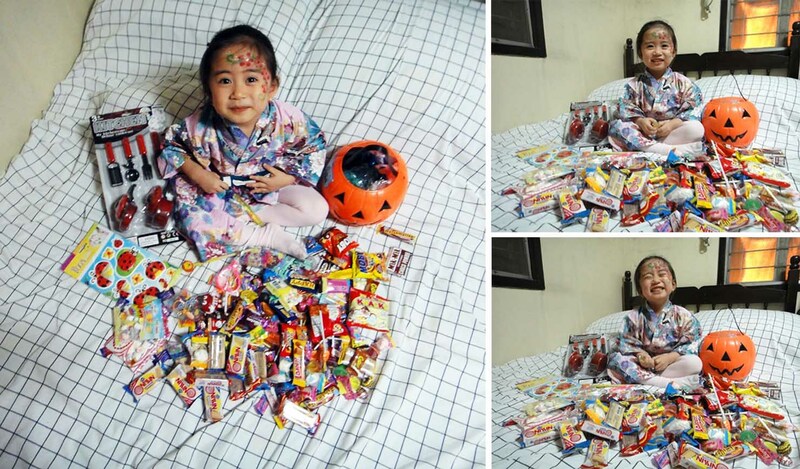 After our half day trick or treating, she went to Trinoma. I was left behind to work a little more so I was not there. They said Iya’s costume was a hit. I think they stayed for a long time in Fully Booked because everyone wants to have their picture taken with her. Some even gave boxes of stuff, which my Mom politely declined. Ahh the benefits of being cute.